The recent bomb attack on a bus carrying Vietnamese tourists in Egypt that killed four people, including three Vietnamese, continued to prompt global outrage. According to the Vietnam News Agency (VNA)’s correspondents in Europe, Pope Francis on December 29 condemned the bomb attack and sent his deep condolences to the victims and their families. In a telegram in the name of the Pope sent to Egyptian President Abdel Fattah al-Sisi, Vatican’s Prime Minister Pietro Parolin said the Pope was very sad to hear about the incident. He condemned this inhumane and cruel behaviour, and prayed for the victims and their families. The same day, the VNA correspondents in South Asia quoted the Indian Foreign Ministry as saying that India strongly condemned the cowardly terrorist attack that took the lives of innocent persons. India sent the deepest condolences to the families of the dead victims and hoped the injured will quickly recover. The ministry stated that India will stand side by side with the Egyptian government and people in the fight against terrorism. 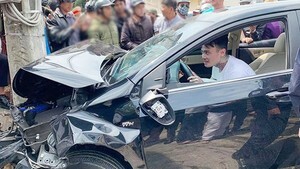 The Indian media also cited Vietnamese Deputy Prime Minister and Foreign Minister Pham Binh Minh’s speech on the incident and expressed deep condolences on the great losses of the deceased’s families. 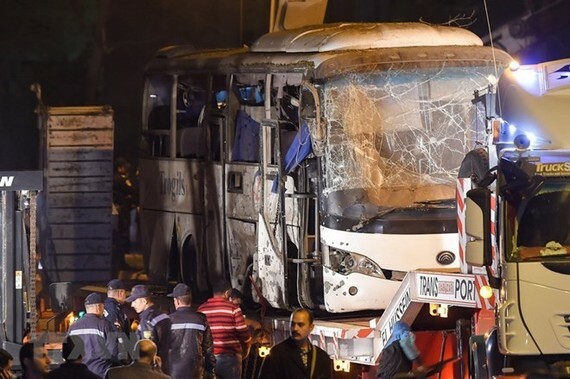 A bus carrying Vietnamese tourists was hit by a roadside bomb near the world-famous Giza pyramids at 6:15pm on December 28 (Egypt time), killing three Vietnamese and an Egyptian tourist guide. There were 18 people on the bus at that time, including 15 Vietnamese tourists and three Egyptians, according to the Vietnamese Embassy in Egypt.